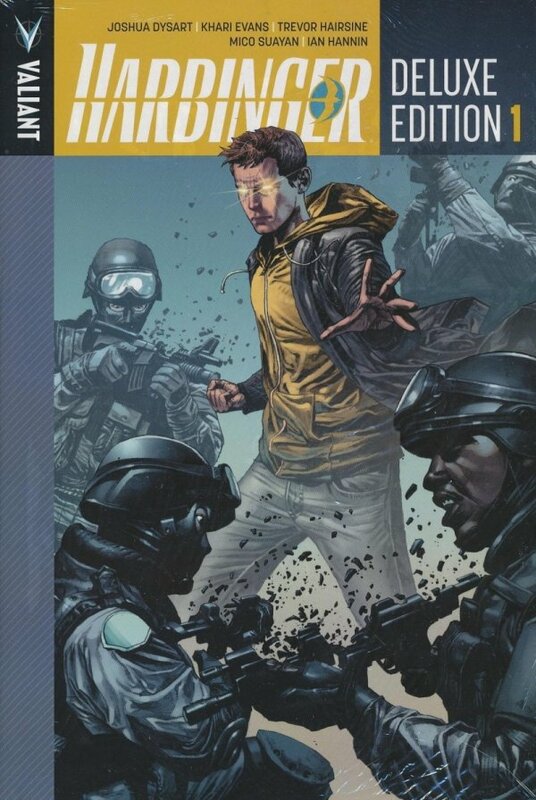 An oversized, deluxe hardcover collecting the landmark fi rst year of Harbinger in the Valiant Universe! Outside the law. Inside your head. You’ve never met a team of super-powered teenagers quite like the Renegades. Skipping across the country in a desperate attempt to stay one step ahead of the authorities, psionically-powered teenager Peter Stanchek only has one option left — run. But he won’t have to go it alone. As the shadowy corporation known as the Harbinger Foundation draws close on all sides, Peter will have to find and recruit other unique individuals like himself… other troubled, immensely powerful youths with abilities beyond their control. Their mission? Bring the fight back to the Harbinger Foundation’s founder Toyo Harada — and dismantle his global empire brick by brick… Collecting the sold-out HARBINGER #0-14, the Harbinger Deluxe Edition Vol. 1 HC also comes jam-packed with more than 20 pages of never-before-seen art and extras, direct from the Valiant vaults.